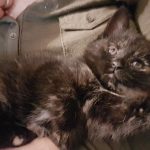 Twitch is another little wee one rescued from the “ Free Pets” on Kijiji. 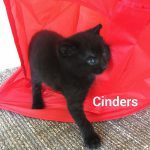 A sweet little girl who will be ready for adoption next week. 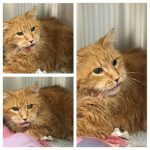 Ginger is a 6 year old female Red Tabby whose owner can no longer care for. She will be spayed prior to adoption. 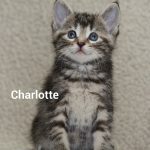 Charlotte is one of Cookies kittens. Born Feb 22nd. 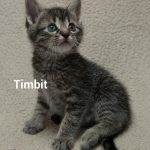 Tim Bit is one of Cookies kittens. Born Feb 22nd. 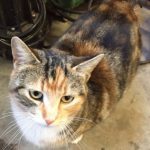 Zola is a 7 year old Spayed female whose owner could no longer care for. 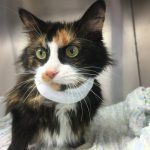 She was surrendered with Chevy who she is strongly bonded with. The two MUST be adopted together. Presently at the Trenton Pet Valu. 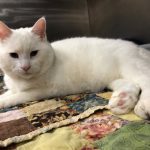 Chevy is a 14 year old deaf and declawed boy whose owner could no longer care for. 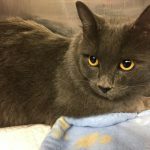 He was surrendered with Zola who is strongly bonded with. The two MUST be adopted together. Presently at the Trenton Pet Valu. 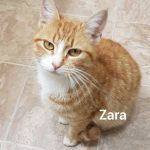 Zara is a pregnant female that we took in recently. She is now safe in Foster care. Her son Leonardo is also with us. 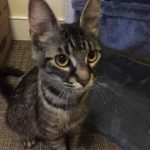 He has been neutered and is presently at the Trenton Pet Valu. 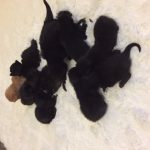 Angel and her mother Mya came to Fixed Fur Life with their 11 newborn kittens. 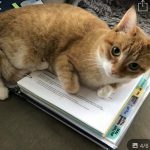 Owner not able to care for. They are now safe with us and are nursing their kittens together. Mya and Angel are a mother and daughter who had 11 kittens between them. Owner not able to care for. 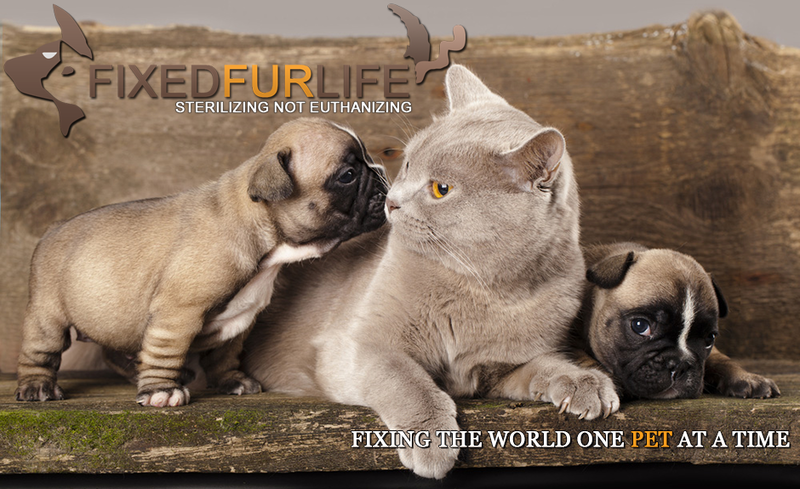 Mya came to Fixed Fur Life with her daughter Angel and their 11 newborn kittens. Owner not able to care for. They are now safe with us and are nursing their kittens together. 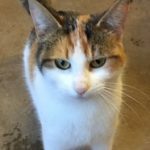 Daphne is a young female that we have taken in. 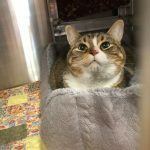 Very sweet and loves to talk! She will be spayed this week. 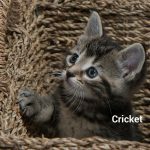 Cricket is one of Cookies female kittens. are now Born Feb 22nd. 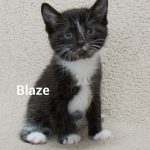 Blaze is one of Cookies kittens. Born Feb 22nd. 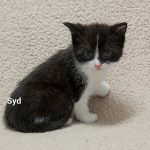 Syd is one of Cookies kittens. Born Feb 22nd. Rosie is another pregnant stray we took in. She was abandoned at a farm with her pregnant mother and brother. She is now in foster care awaiting her babies. Coral is another pregnant stray we took in recently who had been abandoned at a farm with what looks like her pregnant daughter and son. She is now in foster care awaiting her babies. 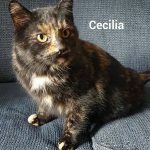 Cecilia came to Fixed Fur Life as a pregnant stray. She is now safe and warm inside and awaiting the birth of her babies. Millie came to Fixed a Fur Life with a huge wound on her neck hence the reason for the neck protector. She is 5 years old and Spayed. Extremely sweet! It has been a rough morning for Mr Peanut. He had his full mouth extraction this am. We have had to wait this long to do the surgery as we had to clear up some of the infection in his mouth first. Complications arose during the surgery when it was discovered that the deterioration in his mouth from his rotting teeth was so bad that his lower jaw was fractured. Additional surgery was done to repair and his jaw is now reinforced. He now faces many weeks of more antibiotics, pain meds and just general recovery. These cases and expenses are why we ask for people to consider Monthly giving. It is simple and it is easy and as I said before allows us to plan for these cases. It allows us to be able to help these guys in need and not worry if we will have enough donations coming in to pay for this. Everyone doing just 5, 10 or 20.00 a month will all add up and allow us to continue helping so many in need. 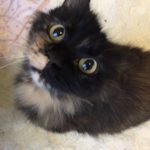 There are several ways you can participate: 1) You can sign up for using the secure website: https://www.canadahelps.org/en/dn/7032 2) You can do E transfers to fixedfurlife@gmail.com 3) If you are uncomfortable with the on line route you can mail post dated cheque’s to P.O. Box 20091 Belleville K8N 5V1 NO AMOUNT IS TOO SMALL! Thank you to all who have already signed up.